The European Commission proposed on Wednesday (June 13) to hike from €90 million to €13 billion the budgetary funds earmarked for strengthening the bloc’s strategic autonomy in collective security by boosting cross-border research and innovation in the field of defence. In a world full of new threats, with an increasing geopolitical instability, and where the EU can no longer rely on the US, the Commission wants to enhance cooperation among member states in defence technology and equipment development. The European Defence Fund will award €4.1 billion in grants to cover the total cost of the research to address emerging security threats. Another €8.9 billion will provide with co-financing to complement member states contributions for the development process: up to 20% for the manufacturing of prototypes and up to 80% for certification and testing. However, the co-financing for prototypes will only be awarded if member states commit to buying the final product, in order to encourage viable projects. Moreover, 5% of the budget will be set aside for high-risk, disruptive innovation projects. “This shows we are really serious in the field of defence cooperation,” Commissioner Elżbieta Bieńkowska told reporters. The money provided by the European Defence Fund can be complemented with financial support from EUInvest, if it targets the defence sector. The Commission estimates the cost of the lack of cooperation between member states in the field of security and defence at between €24 billion and €100 billion per year. “Defence research is 90% national at the moment, unlike any other field of research,” Vice President Jyrki Katainen said. The European Defence Fund aims to fill this gap. 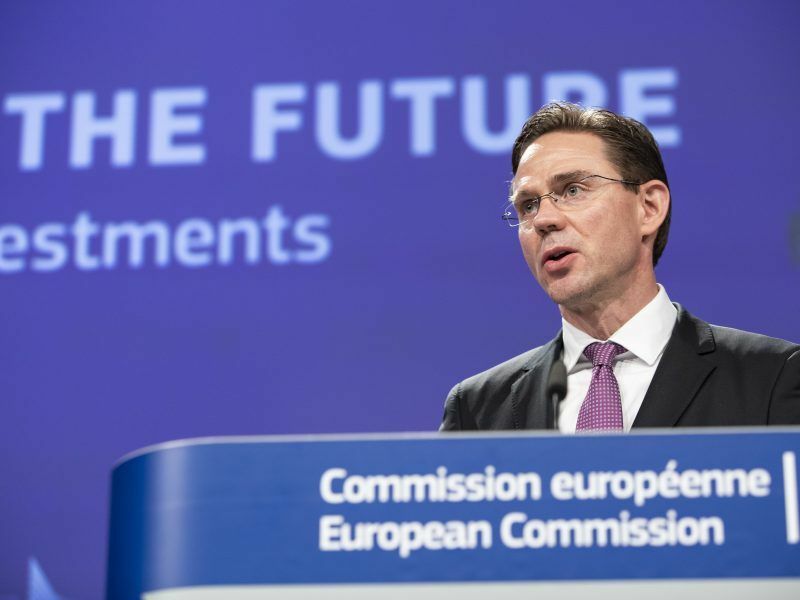 “We want to incentivise our member states to cooperate in order to achieve better results,” Katainen told reporters. Thus, any project to apply for the fund must have at least three participants from three different member states. The Commission also expects to incentivise the cross-border participation of small- and medium-size companies, by favouring those projects. Furthermore, the projects would have to respond to EU interests in security and defence and to be in line with the priorities set by the bloc in the Common Security and Defence Policy. Permanent Structured Cooperation projects can, if eligible, get a higher co-financing rate. The European Defence Fund builds on the previous projects launched by the Commission in the past few years but steps consistently up the budgetary allocation. In 2017 the EU executive already put in place the first set of grants for defence innovation worth €90 million euro. The European Parliament and the Council recently found a provisional agreement that should allow the European Defence and Industrial Development Program to be set up by January next year, with a €500 million budget for the period 2019-2020. “We got very good feedback from member states, that this is something which is desperately needed,” Vice President Katainen said. Higher Representative Federica Mogherini insisted that the notable increase in the next EU-long term budget on defence innovation was not a response to the latest developments, such as Brexit or US foreign policy, but is a long-term investment. “It is the opposite to a panic reaction,” she underlined. As the EU budget cannot finance military expenditure, Mogherini presented a parallel budgetary line of €10.5 billion to support the European Peace Facility during the period 2021-2027. This instrument will cover the common costs of all EU military missions and operations, support the armed forces of other partners, when decided by the Council, and allow the bloc to contribute to military peace operations lead by other actors. 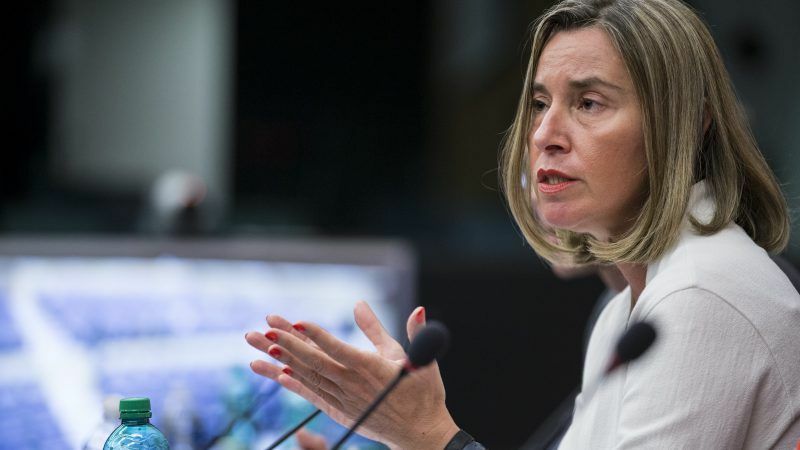 “The world is living difficult times and this calls for European Union responsibility role on the global scene as a peace and security provider,” Mogherini told reporters.